The goal of the drive-thru is that drivers won’t have to get out of their car or find a parking spot. 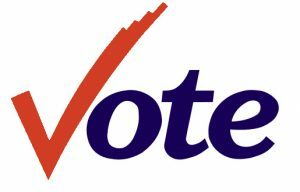 Additionally, vote-by-mail voters can continue to drop off their ballots at County drop-off boxes at all 19 city hall buildings, select branches of the Contra Costa Library and outside the County Administration building on 651 Pine Street, Martinez. For more information, visit www.cocovote.us. This entry was posted on Saturday, June 2nd, 2018 at 11:57 am and is filed under News, Politics & Elections. You can follow any responses to this entry through the RSS 2.0 feed. You can leave a response, or trackback from your own site.